The Yangtze in this story is not a river in China. It's a name Nancy gives to a special place near the edge of her town in the back- woods of Quebec, Canada. It's here, where the wild raspberries grow, that Nancy and her friends, the strange and wonderful sisters Clare and Amy, explore and let their imaginations soar. The girls wonder about their neighbor, Sandra the troublemaker, and her older teenage sister, Tracy. Sandra's mother thinks Nancy is a bad influence. But Nancy has seen and heard strange things happening at Sandra's house. She's sure there are more secrets hidden behind their closed doors. at one and the same time? This one can. Brilliant." -Michael Morpurgo, author of Waiting for Anya "From the Hardcover edition. 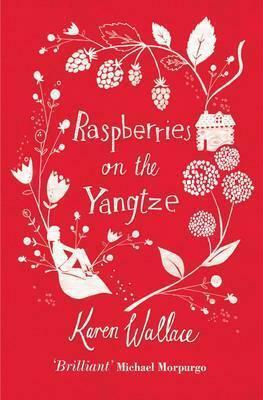 Canadian-born Karen Wallace is the author of over 70 books for children, including Emerald and the bestselling Raspberries on the Yangtze. She was born in Canada, but now lives in Herefordshire with her husband and a large cat called Cougar.